Interview with James Law, James Law Cybertecture WFM: Please introduce your firm and yourself James Law (JL): My architectural firm is called James Law Cybertecture and the name Cybertecture represents the kind of work I have been pursuing and hope to continue in the future as well. We do very forward looking futuristic architecture, which tries to marry the latest innovation and technology with people, spaces and the modern world. We try to work around advanced architecture where we attempt to establish a connection between the latest innovations in technology with the people and spaces of the modern world. I got into architecture by chance. At the age of seven, I happened to watch a black and white film titled ‘The Fountainhead’ in which the main protagonist is an architect. Since then, I have worked hard towards my dream and am now practising on my own. WFM: It is almost more than a decade since you started your practise. JL: Yes, essentially. It has been almost 15 years since I started my firm James Law Cybertecture. Before that, I was practicing as an apprentice in different offices. WFM: Where did you study Architecture? JL: I graduated in architecture from The Bartlett School of Architecture, University College London (UCL) after completing my high schooling from UK itself. WFM: How would you describe your design approach and what is your signature style? JL: I would like to describe my design style as a pursuit for the future. I am always looking for future designs that would enable people to live better lives, to work more efficiently and to be heal thier. The spaces I design are done using a lot of cutting edge technologies, so as to make every design stand out from the rest. This is also so because I believe that designs depend on the locations, functions and requirements of that space. With every project, I try to be original with research and thinking. I wouldn’t say that I have a particular style. I rather would shy away from calling mine a ‘signature style’; but at the heart of it I feel we could call it futuristic while also being sustainable. WFM: This is an era of iconic buildings. How do you work in a system looking for iconic buildings while continuing to make more meaningful architecture? future designs that would enable people to live better lives, to work more efficiently and to be healthier. The spaces I design are done using a lot of cutting edge technologies, so as to make every design stand out from the rest. This is also so because I believe that designs depend on the locations, functions and requirements of that space. With every project, I try to be original with research and thinking. I wouldn’t say that I have a particular style. I rather would shy away from calling mine a ‘signature style’; but at the heart of it I feel we could call it futuristic while also being sustainable. WFM: This is an era of iconic buildings. How do you work in a system looking for iconic buildings while continuing to make more meaningful architecture? JL: I think we should not merely term a building ‘iconic’ for the sake of it. If the iconic architecture has derived its character because of it’s effective design, then it is generating benefit to the user. At this point, the iconic character of the design is very important. So, most appreciated buildings are those which are aesthetically beautiful and at the same time utmost functional. Sometimes, though, what is concerning is that we might lose the essence in a building’s design in order to achieve the iconic stature. But as long as the courage in the design of a creator merges and keeps in mind the issues of people, space and environment sustainability in their innovations, the design wouldn’t go wrong. And this is what I hope to achieve through my work. WFM: Could you please tell us about some of your important projects? JL: Well, that will take a long time. I have several stories to share with you on my projects. My first foray in to projects in the Middle East started from Dubai, where I won a competition against stalwarts like Norman Foster and Zaha Hadid, for creating a building which is inspired by the Apple iPod. That particular architecture is very much a new revolution, with a totally different look, more akin to electronic products. The main concept was to have a programmable building which allowed the users to download apps and customise their lifestyle according to it. It is a really good example in my career as a piece of work that symbolises “Cybertecture”. Here, the design possibilities are generated by the interaction between technology, architecture and the people. So this is one of projects which symbolises my work very well. There’s another example that I can think of, which symbolises my work and my passion for exploring knowledge about our eco-system in the planet. It is also located in the Middle East. It is a very large project called the Technosphere, which is a ten million square feet mega structure building, placed in the centre of the city of Dubai in Jabel Ali. In this project, many buildings are enclosed by one huge spherical megastructure that helps to create a mini climate within the space. It has commercial, residential and institutional spaces surrounded by green areas. I am creating a whole new model, on how a city can be designed and built with proper infrastructure to commute. This mini planet contains everything in one structure; the free walls of the structure become a green envelope that can be shared with everyone who lives and works within the buildings, i.e., within Technosphere. Cybertecture Egg - Day view Cybertecture Egg – Day view The Technosphere is an interesting approach to architecture. It is a bold move to create a mini planet or a bio-sphere that protects the inhabitants from harsh environment and generates an eco-system which is very efficient, accompanied by the latest innovation and technologies, allowing more and more people to live together in a harmonious way, saving lot of time and energy. WFM: Could you please tell us about your Indian projects too? JL: My very first project in India was for an office building called ‘The Capital’. It is located in Bandra Kurla Complex in Mumbai. The project is approximately a million and a half square feet of constructed area for a futuristic office building. It is presently occupied by the Deutsche Bank. The building was conceived originally as an egg-like structure which has an environmental characteristic. Due to an increase in the FSI of the building, we decided to evolve the building into one that has an egg inside the box. We have also designed the world’s largest underground robotic car parking here. The typology of the building façade allows it to have a combination of terraces that can become farms and urban breathing spaces for each of the office floors. The iconic egg structure gives the building its identity. It is an architecture which balances the commercial needs of the users of the building with aesthetics. The architecture encourages to create a landmark and it has key sustainable characteristics. The façade design breaks the conventional box design of office buildings and allows an understanding of the fact that it is a green building. The Pad - Day view & night view (image below) The Pad – Day view & night view (image below) WFM: What are the greatest challenges that you face while designing and implementing green designs? JL: The greatest challenge is to find the feasible balance between the functions, which often are commercial, with the environmental needs, in order to make the building sustainable. One shouldn’t put too much emphasis on the sustainability aspects alone, but should focus on the functional aspects of the building too. Over emphasis on sustainability will pave an experimental green architecture which may not be commercially viable. But then, the building should not just be commercially oriented too. One should consider and review areas of investments; façade treatments or a different system planning might help achieve sustainability while also keeping in mind the functionality. Ultimately, the success of the project highly relies on finding the balance between the two. Technosphere - Aerial view & Day view (right) Technosphere – Aerial view & Day view (right) WFM: While talking about materials, how do you decide on the materials of the façade? JL: Choosing the right kind of material is extremely imperative for any building. The choices, at the moment, have become very restricted to either glass or aluminium but that does not work in every location. I have done some work with stone, PV panels and mixture of components. The challenge is finding the appropriate combination, which is chosen based on the function of the building. For example, for a commercial building, natural lighting and indoor-outdoor connect is essential. At the same time, it should balance with environmental parameters of the particular site. If the project is located in Middle East, it should have ample shading. I think the challenge is to understand how to choose from readily available local materials and put them together in a formula that gives the best effect for any site of architecture. The key factors include selection of materials, and understanding the functional aspects of the building, which also revolves around the geography of the building site. It is also important to look at the factors like long time maintenance and life cycle of the façade. The façade should remain strong as the building ages and should not cause troubles. If the building is a tall one, the study of effect of wind on the building is important. The shape and façade details of the building certainly will affect the safety of the building. If the location has strong eddy currents and turbulence, the shape and orientation of the building should be such as to have minimum impact and to provide maximum safety. Acoustic treatment of buildings, if located near railways, airports, or other noisy places, should be good enough to shield the noise from right direction with insulated glass facades of greater thickness. One BKC - Day view & Side view (right) One BKC – Day view & Side view (right) WFM: Could you please tell us about some of the innovative technologies or materials used in your own projects? We are designing a convention centre where the roof and façade is one element. In order to create a wide span of 150 meters, we are using very light weight Ethylene Tetra Fluoro Ethylene (ETFE) fabric on the facades, with air bubble cessions. This allows the structure to be very light, though the span of the project is significantly large. ETFE fabrics are like an inflated bladders, which are transparent. We can apply switching on the actual pattern of these bubbles to control the amount of light. They have the advantage of being water tight and are also significantly lighter than a contemporary glass and aluminium façades. This is a very novel material and a new technology. We are using it for the first time. Ohm at Bandra, Mumbai – the pool & balcony Ohm at Bandra, Mumbai – the pool & balcony WFM: How does the façade design affect the workability of a building? JL: Well, the façade of a building is extremely important to the workability of building, i.e., in maintaining comfortable and safe environment inside the building. A wrong façade will entirely disrupt the functional life of the building. For example, a building that needs to have an environment that is sensitive to light and temperature such as laboratories and hospitals, will need facades which are very sensitive to the functions inside. While buildings like factories or power plants need to have insulated or protective sheets inside to protect the safety of people. WFM: Brief on some of the opportunities and challenges faced by your firm while working in India? JL: Being a firm that originates in Hong Kong and has mainly done projects there and then branched out internationally, coming to the Indian construction cultural was very different. I can highlight a few differences, perhaps those can be categorised under challenges. First of all, I think the available labour, especially skilled labour, and available materials in the market are still catching up in India as compared to the Far East. The systems for facades and materials, which are not readily available in India, need to be imported. This incurs a lot more cost and risk in the installation and design. Another challenge is the appreciation for the workmanship. I think, there needs to be a much higher labour of care and workmanship in order to install certain delicate facades that cannot be easily handled by unskilled labour. So, it needs to have an industry that has matured enough to install active facades, which include motors, actuators, computer systems, etc. There are a few glass factories in India which are able to produce glass of wider range of performance and quality. Same with fabricators of aluminium. There are very few who are able to extrude aluminium and make desired components out of it, which can be used in some of the latest complex architectural shapes and architectural installations. Having said that, we see a lot of progress over the years. I think, with the creation of many more modern architecture, the desired skills as well as quality and technology in production are also improving to produce better products needed for contemporary architecture. It is easier to build once industries in India are able to offer relevant experience and source of materials or components. Mumbai Convention Centre - Day View Mumbai Convention Centre – Day View WFM: What is your advice to young & aspiring architects in India? JL: If they have chosen to study architecture and plan to become an architect, they should have a passion for it. Architecture is all about working towards a better future. The future is in their hands to dream of and to design. They have the power to change our closed environment from the way it is today to the way they feel it should exist. So I would encourage them to dream, think about designs and invent technologies which could change the world through the building that they build. I would also advise them to hold on to their passion. Being an architect is incredibly meaningful and impactful profession for the world. Innovative façade for a project in Mumbai for Parinee Developers Innovative façade for a project in Mumbai for Parinee Developers The Author James Law Founder & CEO James Law Cybertecture International Architect James Law founded James Law Cybertecture International in 2001 to design buildings of the future world for the betterment of mankind through his passion for innovation, technology and sustainability in design. 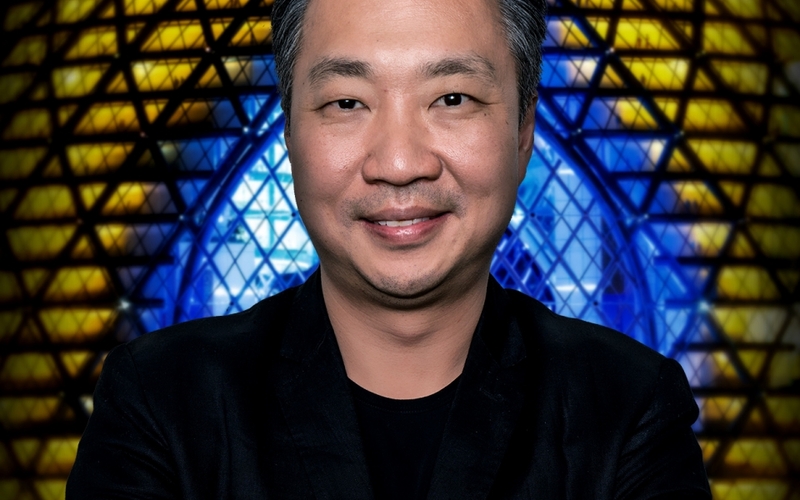 James Law is also the founder of smart cities company Cybertecture X; smart health company Cybertecture H; design education institution Cybertecture Academy, and the NGO Cybertecture for Humanity. As an internationally renowned architect, designer and innovator, James is a council member of the World Agenda Council of the World Economic Forum. He has won international awards in the field of design and innovation including the Edison Award for Innovation (Gold), International Property Award, Asian Innovation Award, Design for Asia Award, CNBC World Architecture Award and many more. James Law is a nominated Young Global Leader of the World Economic Forum as well as a pioneer in the new design of Cybertecture. As an architect of modernity, creativity and dynamism, James Law talks about his practice, few of his ongoing and future projects, and about his vision and mission for future architecture for mankind. Here are the excerpts from his interview with WFM.